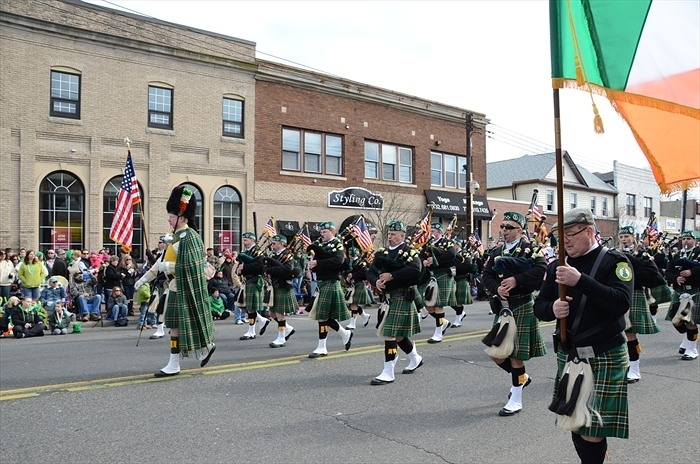 An overview of this year's St. Patrick's Day Parades at the Jersey Shore, including Belmar, Seaside Heights, Asbury Park, Rumson, North Wildwood, Keyport and Highlands. The first, and one of the largest in New Jersey, is the Belmar St Patrick’s Day Parade on March 2nd. Starts at 12pm on Main St, and there’s a big after party outside at Bar A! Another big parade takes place in Seaside Heights on March 8th. You can join the enthusiastic crowds on the Boulevard for a fun-filled Irish parade with bands, floats, and marchers, and a street celebration where everyone is Irish. Asbury Park hosts its first St Patty’s Parade! There will be marching bands, antique cars and floats from Ocean Ave & Fourth Ave, 1pm. Rumson has it’s 2nd annual parade also at 1pm. Come see eight bag pipe bands, floats, marching bands, Irish Step dancers, antique and classic cars. JoAnn Pileggi of Fox 5 will be Master of Ceremonies. On March 15, it’s the North Wildwood celebration and parade. There’s a ceremony on the steps of the City Hall at 11:30 am. The parade begins at noon, with a reviewing stand at Olde NJ Avenue. The Keyport St Patrick Day Parade starts at 1pm, going on Maple Place, Broad Street and West Front Street to end at Fireman’s Park. Highlands’ St Patrick’s Day Parade begins at 2pm at Huddy Park, proceeding down Bay Ave.